So what have we been up to over the last week? I’ll keep this latest installment of the blow-by-blow travelogue fairly brief and factual – we’ve done too much and been too many places to do much other than split the reflections off into a separate post. 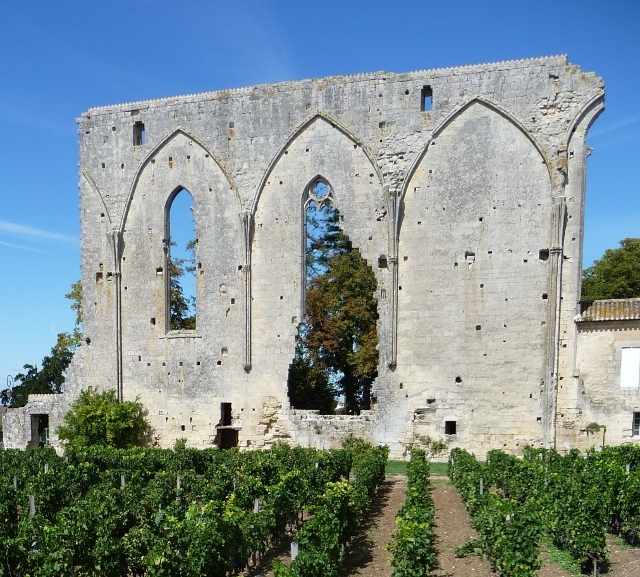 St Emilion, with militarily-precise rows of immaculately tended vines. Rocamadour, with its shrine perched high above the valley. Limeuil and Cordes-sur-Ciel – two little gems of villages, so beautiful that they shone through the (fortunately thin) layer of Cotswold-style smugness which could so easily have taken them over. The Grottes de Peche Merle, with prehistoric cave paintings so fresh and vibrant that it was difficult to grasp just how ancient they were. A campsite sent directly from heaven, with 50% more large fields to choose from than camping units there – we finally chose the banks of a stream, and sat watching ducklings. 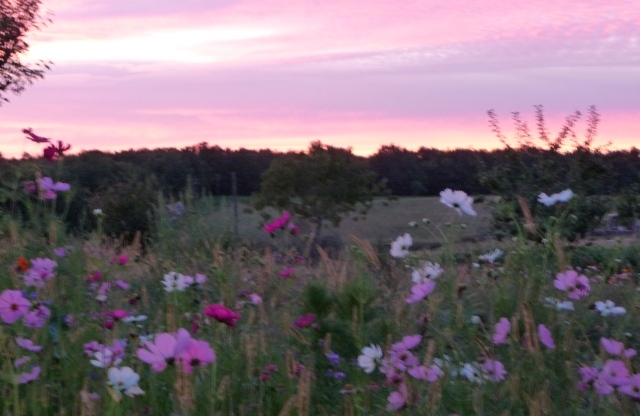 Other campsites which just soared above the average – a meadow of wildflowers directly behind our pitch, under one of the best sunsets so far (and complete with bouncing kitten). And so we got to Albi. One of the surprises of the trip, we thought it’d be a basic in-and-out job, to see the Toulouse-Lautrec museum, but turned into a very pleasant meander around a vibrant city, where heritage and life sit comfortably side-by-side. Then on to “must-do” Carcassonne, which turned out to be the diametric opposite. Still, the afternoon circular bimble around the area was rewarding – the “book town” of Montolieu, the sole survivor of a number of water-powered paper mills in Brousses, then the four ruined castles of Lastours high on a ridge. 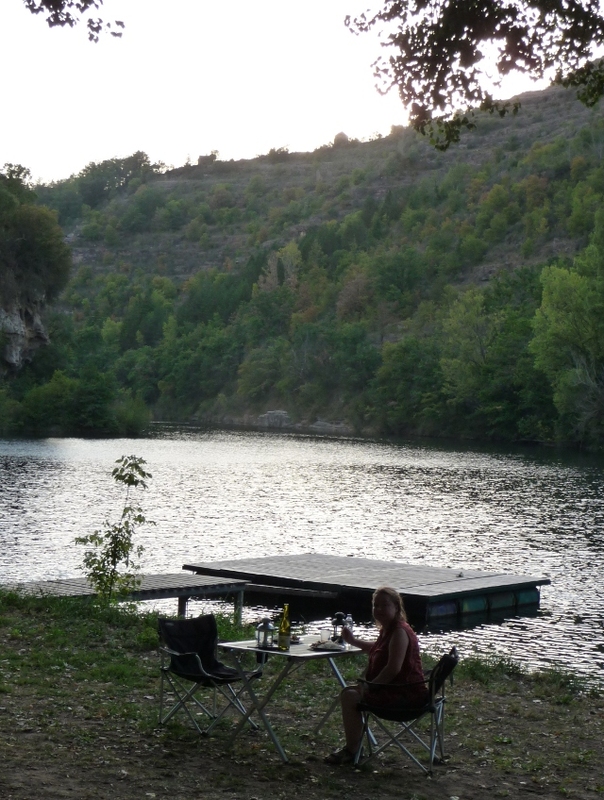 Another wonderful campsite – which allowed us to have Ellie’s (slightly delayed) birthday dinner sat right on the banks of the Tarn – then on to Millau, the other “must-do” of this stretch of country, and it didn’t disappoint – the viaduct really does live up to all the superlatives aimed at it, sitting comfortably amongst outstanding scenery which could so easily have been trashed by a motorway being cut through. 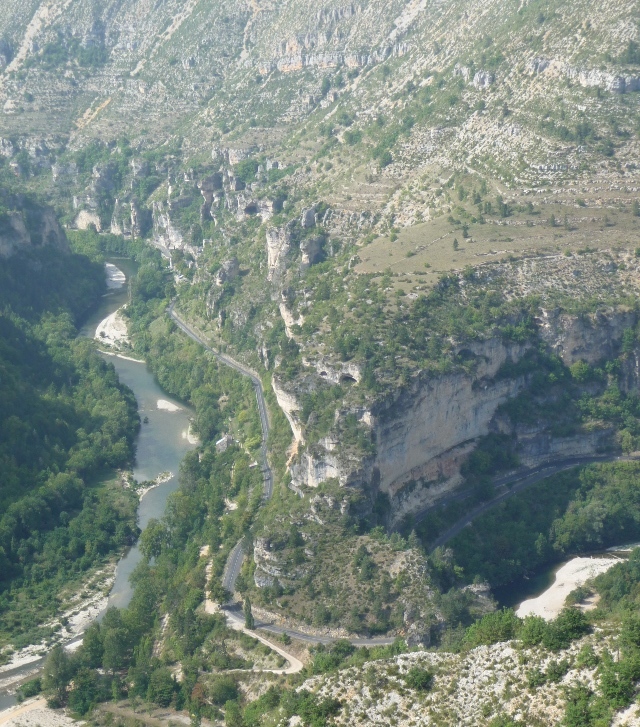 East of the viaduct, the Tarn cuts through a series of gorges, giving rise to dramatic cliff faces. The road winds along the bottom of the gorge – beautiful. 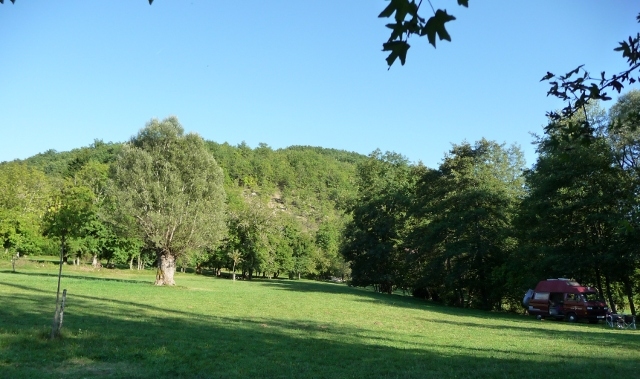 Then we reached one end, and turned onto the road cutting past the end of the Gorges de la Jonte and on to the Corniche des Cévennes – and climbed, climbed, climbed. All of a sudden, we were at the top of the gorge, staring down at the road we’d just left – we’d been one of those model-railway scale toy cars minutes before. Donkey-less, the Cévennes played hide-and-seek with us through low cloud as we wound our way towards Nîmes – the Roman Amphitheatre is definitely worth the visit, still heavily used for 20,000 capacity concerts and other events – which means a summer tarmac base and tiers of wooden seating on steel frames, but they were easy to mentally erase as you imagined the gladiatorial battles far below – and a small price to pay for the venue fulfilling its designed purpose two thousand years on. 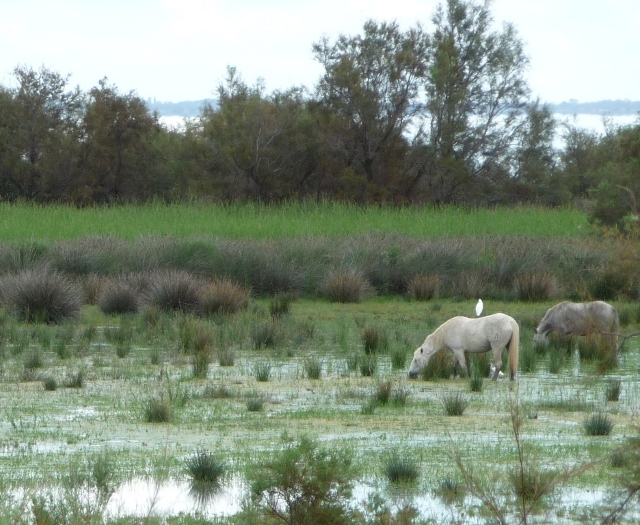 From Nîmes, a great comparison in neighbouring Arles – which surpassed our expectations – and down through the Camargue, before heading back to the Pont du Gard – the €15 parking fee nearly putting us off completely. 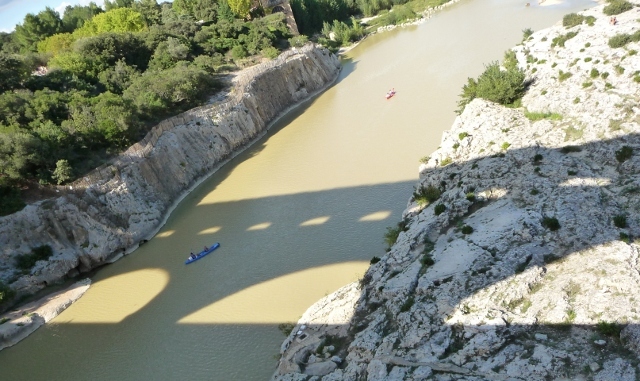 It was worth it, though, especially with our encounters with other aqueducts in Tomar and Segovia to compare with. Then Avignon, and on to Aix. This is where we sit now, in the shadow of the Sainte Victoire mountain immortalised in paint by Cezenne many times, trying to play catch-up after a fairly non-stop week. The delays of the last month mean that we’re seeing the first approaches of autumn, and are having to continue to press on a bit, as the inevitability of winter – where will we go? – starts to become ever more obvious. Of course, the other problem has been that there’s always just so MUCH to see and do! 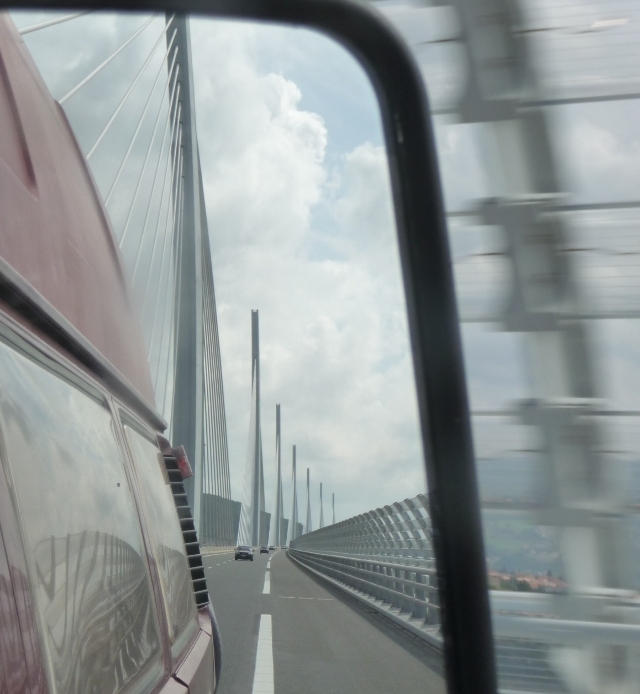 This entry was posted in By Country - France, Travel stuff. Bookmark the permalink.